When a young St. Cloud home buyer first hears the term “earnest money deposit,” the words alone pretty much explain the general concept. But I make sure to clarify the details before we begin to put together our offer. The purpose of the earnest money deposit is to assure the seller that this is a buyer who is serious about completing the sale. If the seller does accept the offer, the earnest money is held in trust until it can be applied to the ultimate sale. Since this deposit is a considerable sum, I make sure my buyer client fully understands the terms that control how it is handled—including three major happenstances by which earnest money might be forfeited. Each is avoidable if proper care is observed. 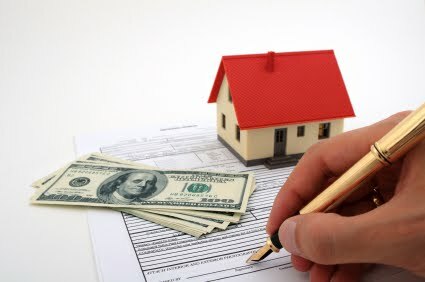 If sufficient mortgage financing cannot be obtained or if the St. Cloud property fails inspection, the offer’s contingencies should specify that the earnest money will be returned. That’s why submitting an offer that waives those contingencies should be avoided. There are a few exceptions—for instance, it might be reasonable to waive a mortgage-financing contingency when competing with an all-cash buyer (but only if a lender has already granted conditional approval). Another exception occurs when the home is going to be torn down, in which case it would be reasonable to waive the inspection contingency. Otherwise, I urge my buyers to stand by the usual contingencies. The purchase contract contains completion dates by which steps of the deal are to be met. In most instances, sellers will agree to some extensions if the buyer is making good-faith efforts to meet the deadlines. But especially for the final closing date—and most especially if the paperwork includes a binding “time is of the essence” clause—failure to meet the date can result in a failed deal and loss of the earnest money. Should adequate financing be offered and the St. Cloud property passes inspection with flying colors, if the buyer has a change of heart for personal reasons after the contingencies have been lifted, the earnest money is probably lost. It might seem hard-hearted for the seller to refuse to return that deposit, but that’s not really unreasonable. In addition to the hassle of canceling the moving day and re-entering the property in the St. Cloud listings, there can be a question raised in prospective buyers’ minds about why the first contract failed—a potential problem the seller didn’t deserve. Before a bid is ever submitted, I do my best to see that my buyers are sure—thoughtfully so—that a property is the one they really want. From that point on, I keep on top of all the ensuing steps, from drawing up the offer all the way through the final closing. I hope you’ll call me whenever you’d like to discuss your own St. Cloud real estate plans!